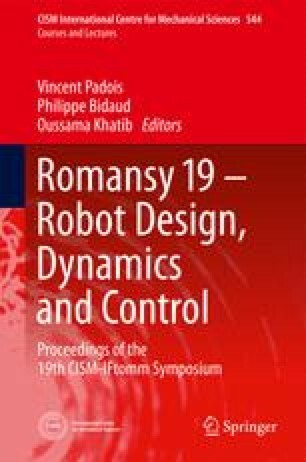 This paper deals with the optimal dynamics of the 3-RRR decoupled robot in which the linear displacements of the platform are decoupled from its orientation. The particularity of the 3-RRR decoupled robot is that an optimal choice of the leg’s geometric parameters allows an unlimited platform rotation, which can be attractive for many industrial applications. However, a singular configuration is necessarily encountered during full platform rotation. In order to generate a stable motion in the presence of singularities, optimal dynamic conditions are disclosed. The suggested optimal conditions ensuring unlimited platform rotation are illustrated and validated by numerical simulations with ADAMS.